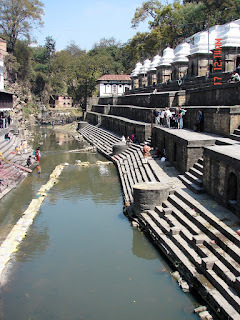 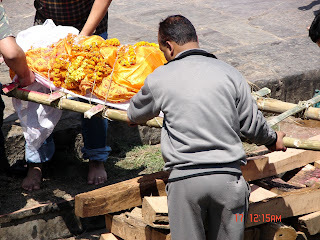 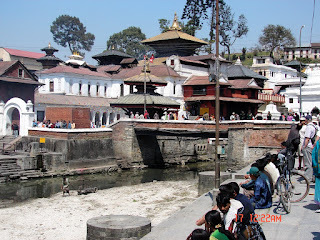 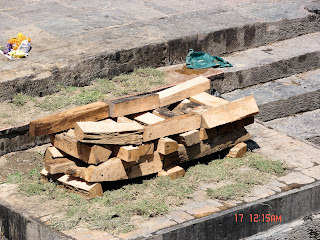 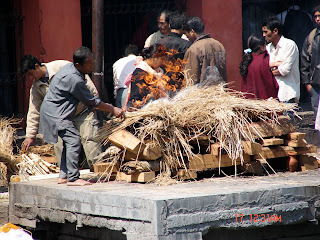 The Pashupatinath Hindu Temple, next to the holy river, the Bagmati, is a very popular place for Hindus to be cremated. 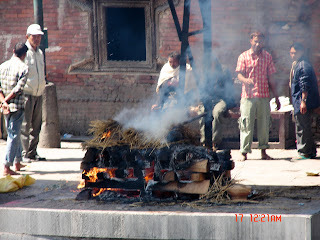 While we were on the other side of the river there were 4 cremation ceremonies going on at the same time. 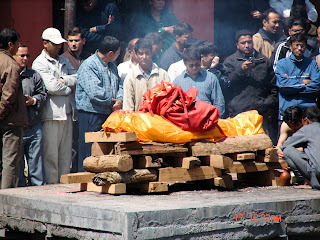 For a moment, life's temporary existence seems to stare you in the face.